From the past 2 months we are doing a study, What are the differences between a successful person and an average person? What are those things that successful people do and the average person doesn't understand? So, in this journey, we studied 100 people's life (including successful and average both) and we got the Results that there are 11 things that successful people do and have believed on and an average person has a very different mindset of these things. Successful people see the world differently (comparing to an average). They think differently and they act differently. From Bill Gates to Elon Musk, Steve Jobs, Gary Vaynerchuk, Mark Cuban, Oprah Winfrey, Tim Ferriss, Arianna Huffington, if you know any of these names Congratulations! you are an Entrepreneur at heart. Here's an interesting story that clear that the past does not equal to the future. One day Evan Williams got the great idea to make Podcasting platform when it was all said and done "ODEO" was live. so you can imagine Evan was pretty crushed when literally months after Apple announced they had a new podcasting section of iTunes and his company ODEO was crushed. Now maybe you know the name Evan Williams or maybe not but you definitely know that he hit it big when he founded Twitter. See what Evan Williams knew that just because his past had failure didn't mean his future couldn't hold success. just because one app failed didn't mean another one couldn't succeed. Before launching the Huffington post her second book was rejected by over 36 publishers that's the story of Arianna Huffington. Similarly, Tim had a similar story with the four hour work week, have you heard of this book may be even you read it. 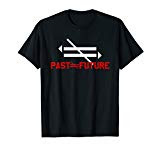 Tim had the belief that the past does not equal the future. Tim got rejected by over 25 publishers before the 26 actually accepted his book. Now to put that in perspective, How many of you would approach 26 people and ask them on a date after hearing no for 25 times? would we even make it past 10 but it's that tenacity to keep going and not listen to past because all top entrepreneurs know that the past does not equal to the future. There a reason why you end up being the average of your five closest friends. it is because you are a product of your environment. If you are surrounded by others who default to scarcity, limiting beliefs, and complaining guess what you are most likely to become? self-made successful people almost all come from challenging situations and environments. There are a few exceptions, but for the most part, these people all come from more challenging upbringings and situations than you are currently. so, how did they break free they chose to raise their standards, for what they will no longer accept from themselves, and the people around them, That the life they were living, was no longer acceptable. That something had to change, that the demanded more from themselves. They raised their standards instead of blaming their circumstances and they won. I have spent years researching the most successful innovators, and leaders and one of the most consistent pieces of advice from all of them is that you need to follow your passion. Find the thing that you would do even if you never got paid for it. Find the thing that you can be so obsessed about that you will keep going even if doesn't make practical sense. Even if people around you say you are crazy, even if it has a low probability of succeeding. You keep going because you need to keep going, Because it's a part of you because you will be an army of one to will this idea of yours into existence because you don't want to look back on your life an realized that you quit on one of the most important projects of your life. You don't get to be the best by doing what you hate or just find a key. You become the best by loving what you do more than anyone else and following that passion through. Well listen to this at the age 24 Stephen King was working as a janitor and living in the trailer at age 28 Jk Rowling on welfare, morgan freeman did not get is the first major movie role until age 52. you see it's never too late to start there is no telling when you are going to be successful. It might happen tomorrow, it might happen a year from now, It might happen at the age 52. But the only sure way that you are gonna fail is if you quit. Most people are so afraid to fail that they don't even try, and that is the biggest failure of all. When you first start anything, you are going to fail. When you first try to snowboard, You will fail. When you first try to speak French, you will mispronounce every single word. And when you first start your entrepreneurial journey, You are going to make many mistakes because you don't know what you are doing yet. It's moral if you are failing, it's because you are trying something and if you keep trying eventually you will hit on something big that works. Successful people fail there a way to success, They have failed at more things than you have ever tried. The fact that you fail doesn't mean that you as a human are a failure. It means you are learning how to get better. If you wanna increase your success rate then you need to increase your failure rate and stop attaching your self-worth to winning every single race. If I started over today how would I do blank? Your health, Your finance, And the list go on and on. Van Gogh the famous painter see his paintings everywhere. It got sold for tens of millions of dollars. He uses zero-based thinking, he feels that one thing he said okay, this is not working what would I start over today, let me go to art school and it was a success. When you do this You avoid the thing called sunk cost the psychological principle that is the feeling that because you invested so much time and energy or money you cannot walk away. That is a trap that is a psychological trap that keeps us stuck. How would that work in gambling? "I already put too much in you now I cannot get it back, I just got to go all in." Not very well and it doesn't work well with entrepreneurs, all entrepreneurs use some form of zero-based thinking and you and I should too. No. It's not truly zero-based thinking since we learn from all the previous lessons right. I love the story of reed Hoffman, he started online dating social network sites, social nets. and ultimately failed. so, Hoffman though what did he do? He used all the experiences he gained building that social net dating site and he put it into a new platform that you probably heard of called linked-in. it eventually sold to Microsoft for 26.2 billion dollars. 26 over 26 billion dollars okay and I can't live on that but that is a good starter. So, great entrepreneurs they build and they compound past failures. they don't set crushed by them. in your life, I know you have had failures. they are not truly failures if you take the lessons from them. The only real failure is if you don't learn from it . and you repeat it in the future that is how you get ahead. "The definition of anxiety is doing something over and over again and hoping for different results." The little man is the person in your life who tells you all the reasons why your ideas won't work and instead of helping you build up, they try to tear you down. Sometimes our family members follow this little man rule. And sometimes we do it to ourselves. You will never have the successor after if you living your life according to other people's expectations. When you grow up you do what your parents tell you to do. But at some point you need to decide that this is your life, you are going to live it and do what you want instead of trying to please the people around you. Do you want to be 30 and still doing what your parents want? How about when you are 40? or 50? At what point do you decide to live your version of your life and ignore the "little man"? If you want to have success, it comes by doing something big and if you are doing something big there will be people who hate your ideas. out of their own insecurities and limited thinking. Are you going to listen to them or make your dreams happen? It's been said, "that readers are leaders." It's also been said that the more I learned the more I earn. 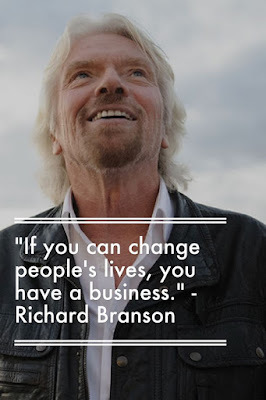 (Famous quotes by some successful entreprenuresn). In fact, bill gates have repeated to read over 50 full books per Warren Buffett repeated reading Between 10,000 and a thousand pages a day. Mark Zuckerberg started reading a book in a week club on facebook. No matter who you look at time and time again the top entrepreneurs know that more they learn. The more they will earn. They feed their mind. they know that knowledge is fuel for their ideas, their creativity, and their energy. One of the biggest complaints though most people make and you know I have made it my self in the past and I know you have probably made it too is what I don't have the time, okay it is not the get them on Amazon for 50 cents. It's I don't have the time sitting down in one place is hard. it is hard to get yourself with all this passion and energy to really sit and you know do nothing hours and hours on end. That is where this excuse falls short because audiobooks are one of the coolest things I have used the past couple of years. You can play them doing other things you can play them in your car, at your workplace, even in the shower. 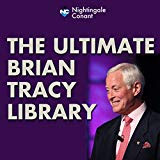 the audiobook is awesome to learning and gaining new skills in that time that normally be wasted. Whether you believe you can or can't do something you are right. because it has been said. "He who says he can and he who says he can't are both usually right." There are so many talented, amazing, creative people out there who have passion, commitment, and genius inside of them. They just don't believe that they can make their dreams happen, and so they don't mean while others with less talent rise to the top because they believed that they could. Building belief comes through action you don't need to see the whole staircase, just the step in front of you. when you conquer one steps, it gives you the confidence to take the next one and the next one. If you are sitting at home on the couch telling yourself that you can't take that first step, then you are right. You can't nut successful people don't take to themselves, like that. So, this is the concept that they are a purple cow. let's just say we are driving down a real trip down i-5 over here and we see all these farms, on the farms you see cows. Thousands and thousands of cows. Among these brown, black and white cows there is a purple cow. Which one do we look at, the purple cow, which one do we stop at the purple cow, which one do we make remarks about the purple cow, why? Because it is contrasting, it is different it stands out. you see how that works. So, I got a question for you when you think of soap do you connect emotionally, Does it make you feel you good about yourself. If you are like most you could not care less. Let's talk about the purple cow and soap now that is where dove stepped in with their real beauty campaign featuring non-photoshopped women being comfortable in their own skin promoting natural self-acceptance. sales for their soap skyrocketed as a result. 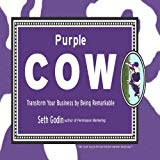 See it wasn't because their soap made people emotional, it wasn't because their soap made people feel good it was their purple cow positioning it was the story behind it, in this case, the clean purple cow this concept really made their sales move it. If you want to be successful all the best companies have some way of being that purple cow of not being forgotten of standing out in the crowd. When everyone else zigs you got a zag to stand out to succeed don't be lost in the crowd and own your uniqueness. 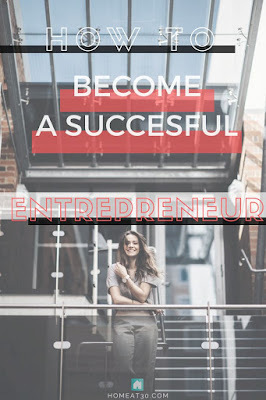 These were 11 traits of all entrepreneurs have and now I am curious which one was your favorite idea today do you have anything to add give feedback at info.ghanimengal@gmail.com.